Checklists, graphic organizers, rubrics, scoring sheets and more to boost students’ writing skills in all seven traits! 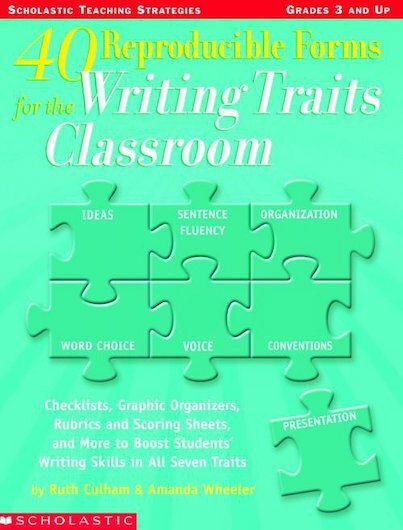 From the experts in trait-based writing instruction comes this collection of time-saving photocopiable forms for assessing students, planning lessons, communicating with parents, and helping all your students to write better. From handy rubrics to weekly planning sheets and letters for encouraging writing at home, all the tools teachers need to make the most of the model are here, with clear guidelines for using them.